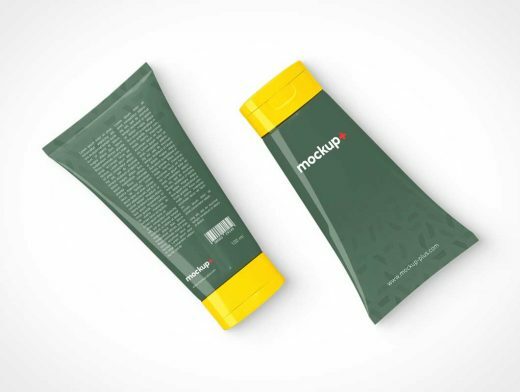 In this post, we’ll share with you a Free Cosmetics Cream Tube PSD mockup. This mockup features two cosmetics cream tube bottles (Face & Back) lying on a flat background with some tropical leaves lying around. Mockups have been built using Smart Objects, so you just need to replace the default design with yours and save. you can use this mockup to showcase your Cream branding designs, Shampoo, and more.